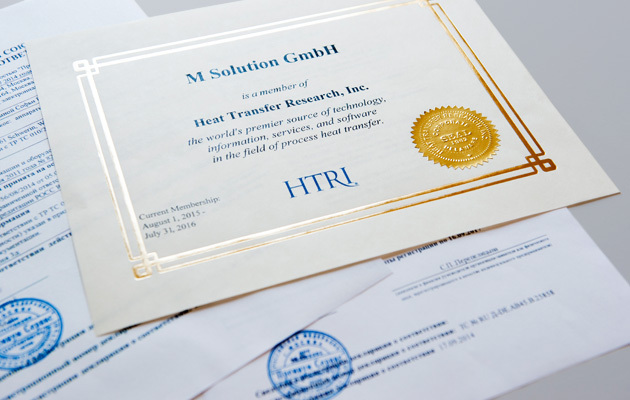 M Solution is a young company which nevertheless combines the experience gained from many decades and far-reaching competencies in the heat exchanger and pressure vessel sectors. Experienced specialists and top-class executives will support you in all questions concerning heat exchangers. In turn, we are supported by excellent thermodynamics engineers and a modern manufacturing company to guarantee that you are always offered optimized solutions. Consulting has top priority with us, regardless of your questions. Do you require shell and tube heat exchangers? Are you looking for experts who can provide you with support concerning the problems associated with internationalization? Or do you wish to export to the Eurasian customs union and require an authorized agent in Russia? We would be pleased to support you in your plans.